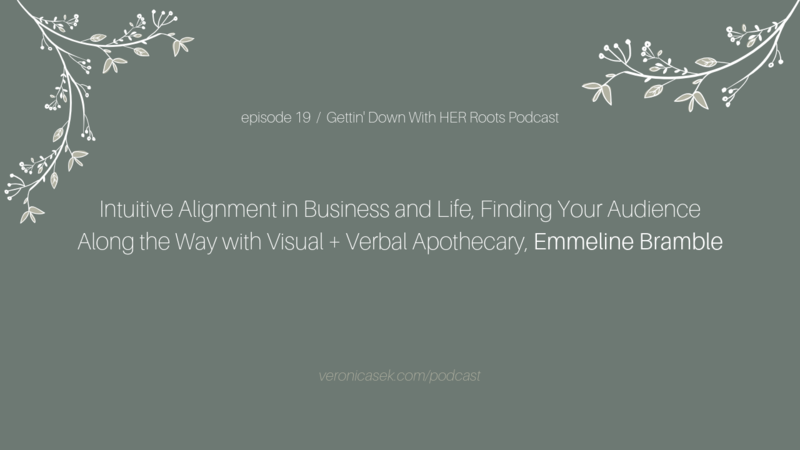 This week I chat with Emmeline Bramble, a Verbal + Visual Apothecary for the Cunning Folk. Through guided mentorship, design services, and copywriting, Emmeline assist compassionate kindred spirits in crafting intuitively-aligned businesses with the power to support their most authentic lives. We dig into what her role as an apothecary and who she serves. We dig deep through remnants of the past and the current social consciousness and state of wellness. I really enjoyed our discussion around everything intuition and will definitely be re-listening 10 more times. She sheds lots of wisdom around energy and alignment especially when it comes to owning a business or even owning your life.